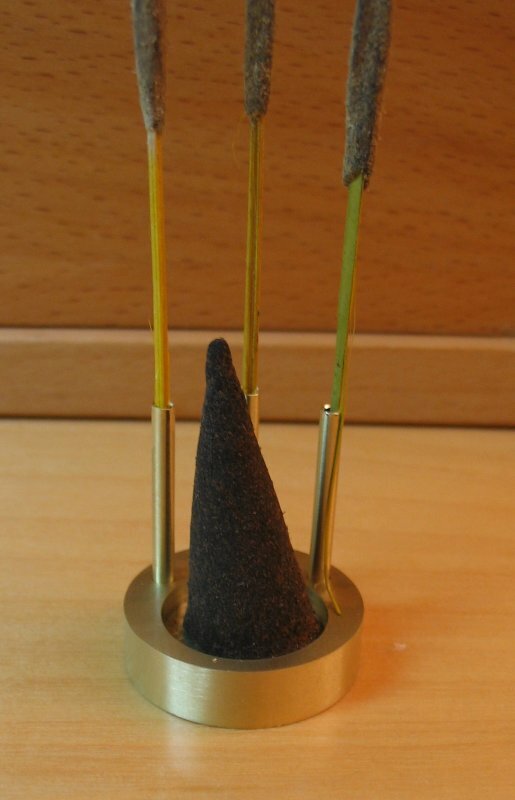 I wanted an incense holder that would accommodate both stick-type and cone-type incense. 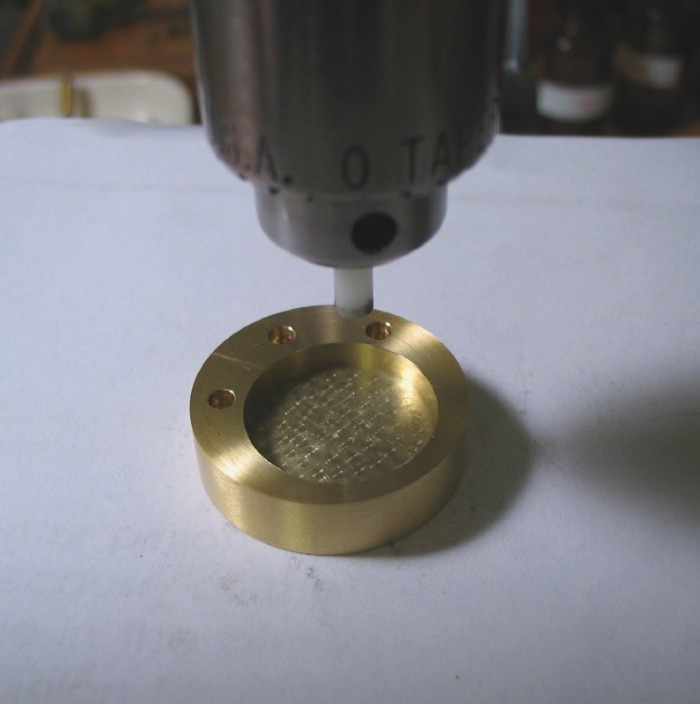 I had just purchased the Cameron drill press and wanted a non-critical project to play with. 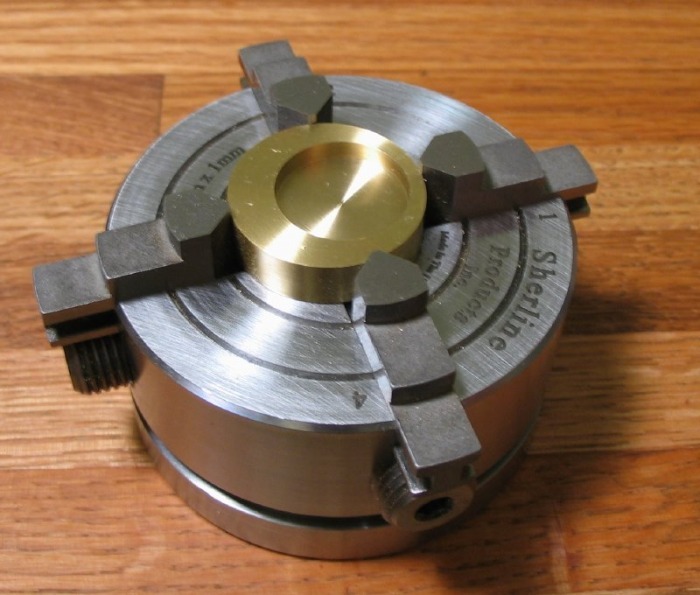 I made it from 1" brass rod, a disc was parted off, faced and an offset boring made using a 4-jaw chuck. 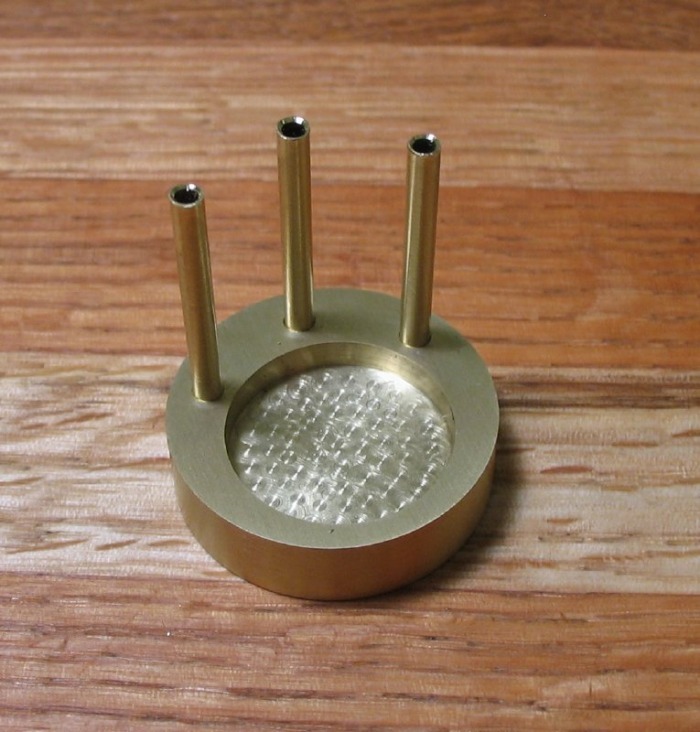 This boring is for the cone type incense. For the stick-type, several drillings were made to friction fit some brass tubing. To experiment with some spot polishing (a.k.a. 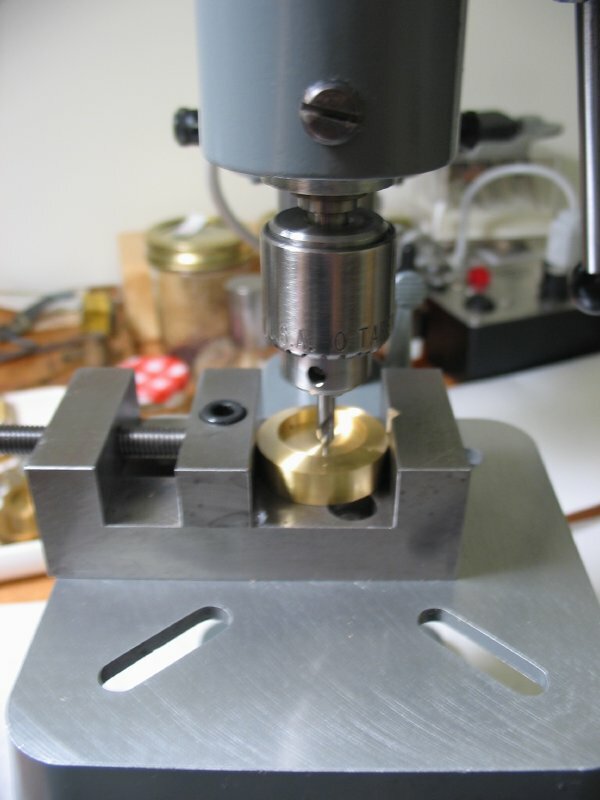 Cotes de Geneve), I made a small pin from Delrin and coated the bored surface with Bobbing compound and simply went to work with the drill press. 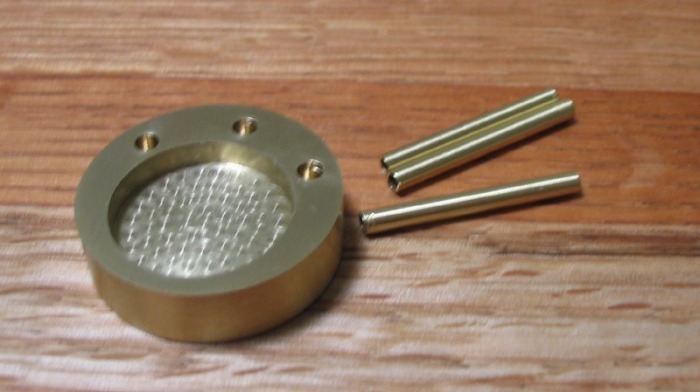 The results were less than spectacular, but is heading in the right direction, I think.